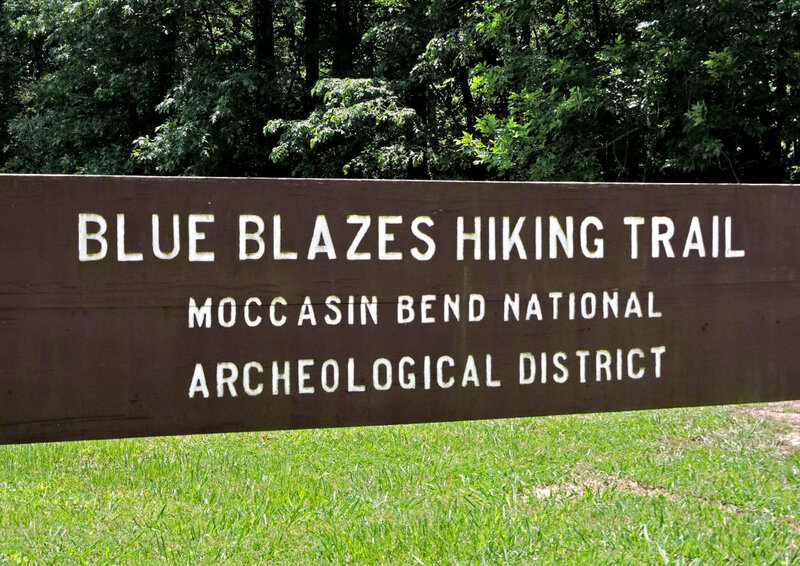 The Blue Blazes Trail at Moccasin Bend is a short and easy 3-mile loop that is great for quick post-work trail runs or casual family strolls with young children. 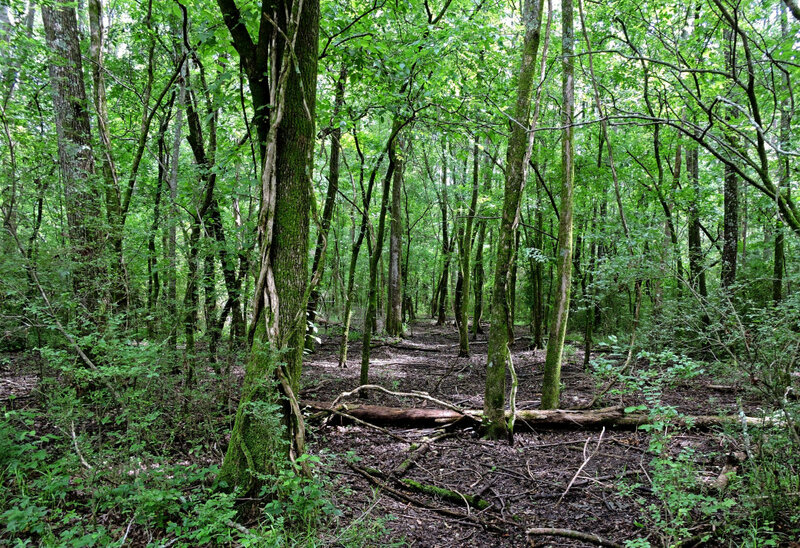 The Blue Blazes Trail at Moccasin Bend is a short, sweet, and simple loop trail that travels 3-miles through young hardwood forests, alongside the banks of the Tennessee River, and around a swampy floodplain. It can be traveled in either direction, but for the sake of this review, we'll describe the counter-clockwise direction (taking a left if standing in the gravel parking lot looking towards Moccasin Bend Road). In this direction, the trail starts off with a really wonderful little stretch through a prime time pine forest. The best part about running or hiking through a pine forest? The carpet of pine needles beneath your feet, of course. Eventually, after leaving the pine forested section and after passing one particularly large and gnarled, seemingly ancient tree, you'll reach your first of a handful of muddy bogs. Currently, no footbridges exist, so you'll have to either leap across the drainage ditch or finagle your way over a pile of wobbly sticks that have been laid down. After this, it's more of the same. 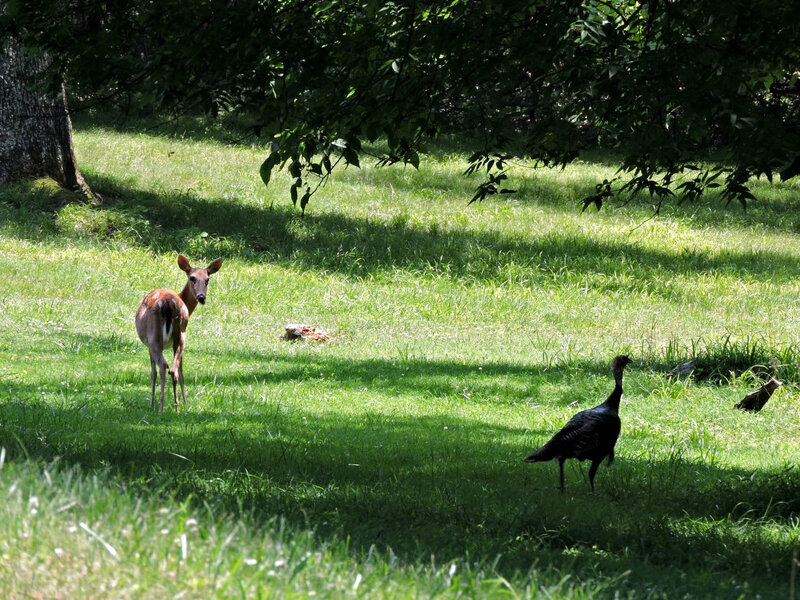 The trail is straight and flat for the most part—with the exception of one punchy little downhill—and it crosses over a couple different boggy spots as it travels parallel with the Moccasin Bend golf course. 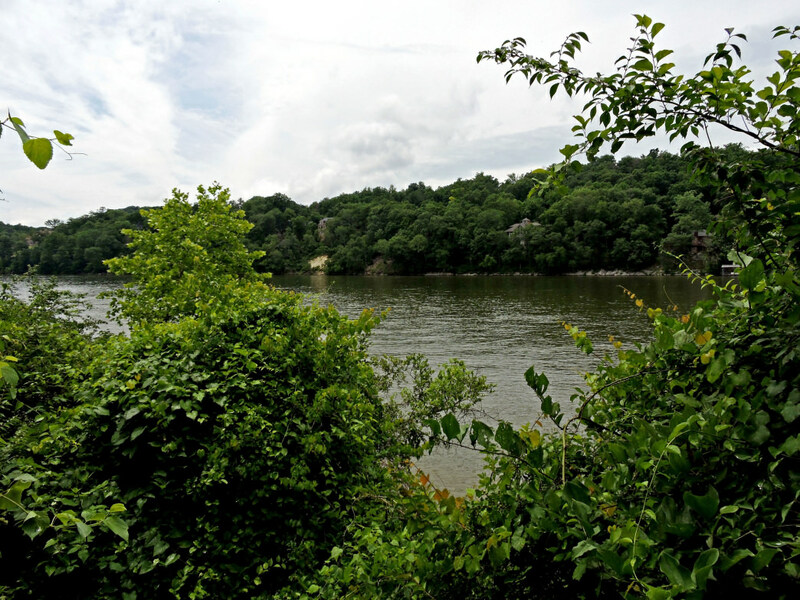 Eventually, you'll reach the banks of the Tennessee River, where there's even a small path that leads down to a beach. Far from Miami Beach, but a beach nonetheless. The trail then follows along the bank parallel to the river. 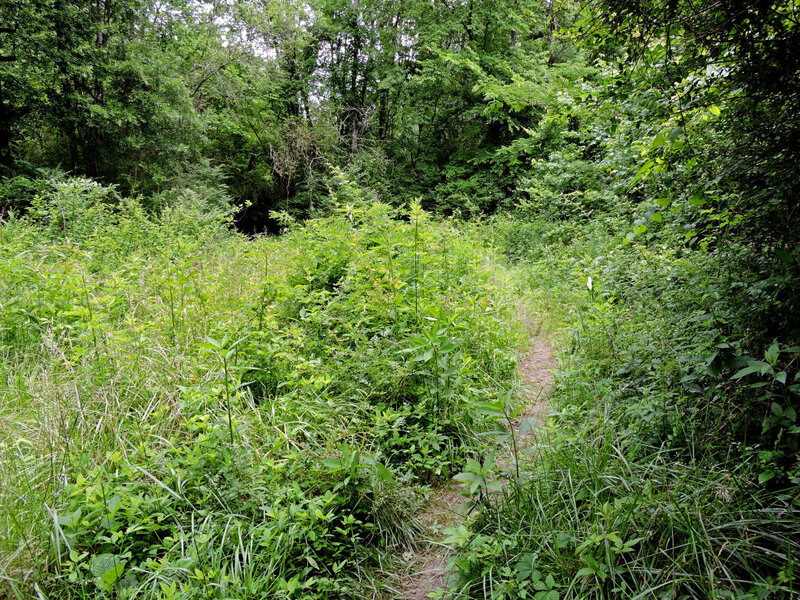 This section has some downfall and can be very overgrown during the summer months. But soon it's over, and then you'll be back on your way to the trailhead. But first, you'll pass by one of the coolest sections of the route: an unexpectedly large swamp with tall trees sprouting up from the water. Then there's another welcome pine section before you finally pop out at the parking lot where you began. Straightforward as you like. While interpretive signs currently do not exist, this area is truly one of the most historic plots of land in the Southeast. 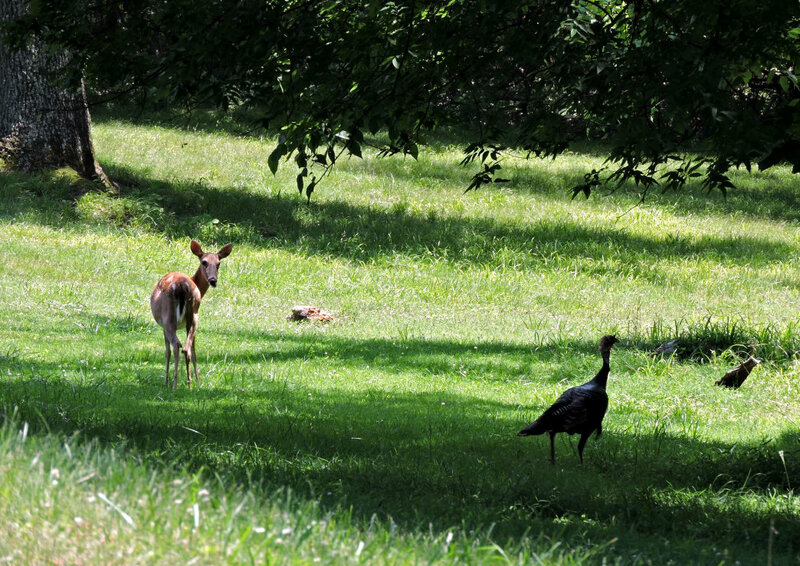 It is believed that human beings have been continuously living on Moccasin Bend for roughly 12,000 years, when Paleo-Indians were first hunting and gathering along this floodplain. 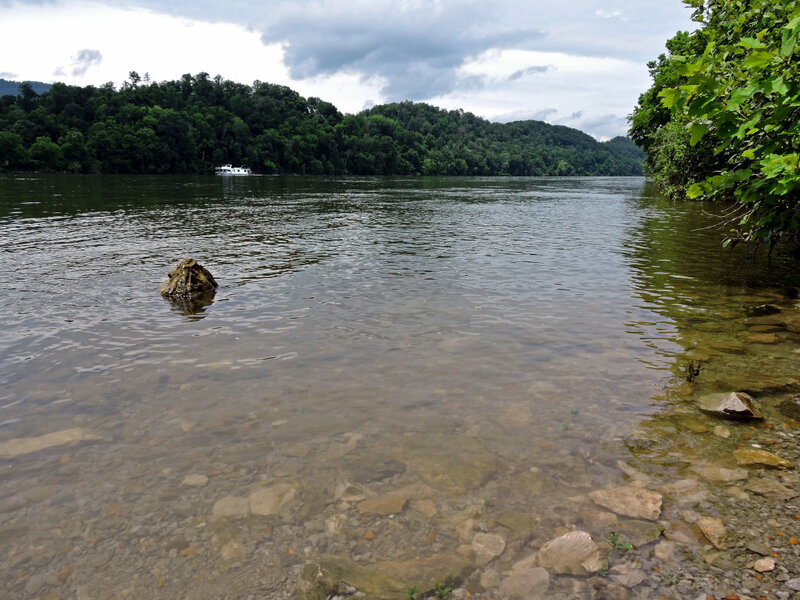 In fact, one of the two Paleo-era projectile points found by archaeologists on Moccasin Bend was located very near to the Blue Blazes Trail (but again, as of yet, no signs will alert you of this information). Trail runners looking for a quick post-work burn will love this trail, especially considering they can always just do another lap if the first one didn't feel like enough of a workout. It's short, flat, and softly padded during the pine forest sections. Families will also enjoy this hike, because again, the distance is suited for even the youngest children, and the history captures the imaginations of all. Of note, however; if it's been particularly rainy, parents will hate this hike. The kids still might enjoy playing in the mud, but parents (especially car-owning parents) will not be amused. The trailhead is located roughly 1-mile down Moccasin Bend Road after taking a left from Hamm Road. As soon as you pass the end of the first hole at Moccasin Bend Golf Course, you'll see a small gravel road off to your right with appropriate signage marking the way. This road is very bumpy, but it's not very long and shouldn't cause any issues if driving slowly.